Like you, caring for patients and their vision is our priority! 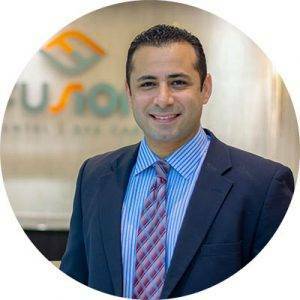 Our talented & professional eye doctor, Dr. Bassiri, has the training and technology to practice the fullest scope of optometry. As a result, many doctors like you, including ophthalmologists, primary care providers, pediatricians and other optometrists, refer their medical and specialty cases to our practice. Our office carries some of the latest technology in digital retinal imaging. We invest in the latest topography to help our optometrist achieve precise measurements of the cornea that can be shared with other practitioners electronically. With the combination of technology and years of experiences, patients receive exceptional pre-op care before meeting their cataract surgeon or LASIK surgeon. We understand the importance of finding a practice that can handle an eye emergency in a timely fashion. If you want an office in that can provide your patient’s an immediate evaluation or consultation – look no further. Dry eye doesn’t have to leave patients in a yearly cycle of discomfort and artificial tears. Our practice utilizes a number of tests and solutions to pinpoint the underlying causes of dry eye & provide real relief. Our medical practice co-manages glaucoma patients to monitor the health of their optic nerve and their overall eye health. Since anyone can develop glaucoma, routine exams become essential above 40. Our technology can also creates a digital record of each patient’s eye health to detect early signs of eye disease. Our medical practice co-manages patients with type 1 and type 2 diabetes to monitor the health of the retina. Our digital retinal imaging allows us to capture any early indications of swelling or macular adema caused by diabetic retinopathy. We’ll communicate to you, the patient’s practitioner, a full report of our evaluations so that you can have the information to better treat & guide your patient back to good health. Scleral lenses have grown in popularity to treat corneal irregularities, but finding an optometrist who specializes in fitting them is still a challenge. Our eye doctor, , combines years of experience with the latest in corneal topography to accurately fit any hard-to-fit contact lens patient with a pair of scleral lenses that bring immediate & satisfactory results. Connect your patients with an eye doctor who cares about the health & vision of every patient ensuring they receive the attention they deserve. Although vision correction through corrective lenses has helped children manage their myopia, many adults appreciate the ability to see clearly throughout the day without eyewear without undergoing LASIK surgery. We treat all patients with the same respect and compassion we would seek for our own family members. A comprehensive referral report of our findings and treatment plan will be sent to you promptly. Rest assured that our mutual patients will be directed back to you for their primary care needs. 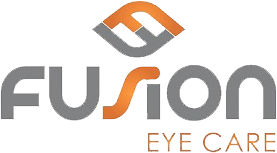 To learn more about the experience and services we provide to patients, we can provide a short presentation by our eye doctor. We will do our best to accommodate your office, and most discussions are scheduled during your staff meeting or lunch hour.